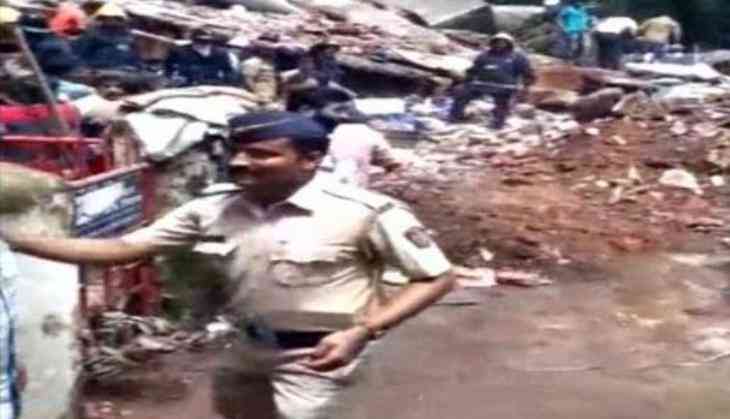 Over 30 people are feared trapped under the rubble of the fourth-floor residential building, which collapsed in Mumbai's Ghatkopar on Tuesday. Nine people have been rescued so far, and efforts are underway to rescue the others. No casualties have been reported so far. The incident took place at L. B. S. Marg, Near Shreyas Cinema, Damodar Park, Ghatkopar. Eight fire engines were rushed to the spot. A rescue van along with 108 Ambulance also rushed to the spot.